Srisaket Sor Rungvisai leaves no doubt this time around that he has Roman ‘Chocolatito’ Gonzalez’ number. 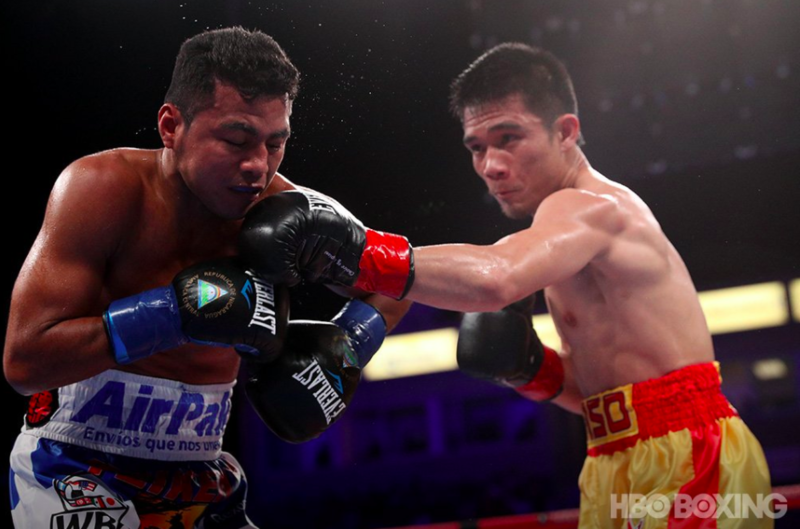 When Srisaket Sor Rungvisai (43-4-1, 39 KOs) earned a controversial majority decision win over Roman ‘Chocolatito’ Gonzalez (46-2, 38 KOs) last March, it was widely believed that in a rematch, Gonzalez would leave no doubt that he was the better man. On Saturday night at the StubHub Center in Carson, California, there would be no controversy as Rungvisai scored a shocking one-punch knockout over Gonzalez in the fourth round. The two fighters got off to a quick start as they began exchanging punches as if it was Round 13, but it was clearly early on that it was Rungvisai’s punches that were the harder and more accurate ones. A headbutt in the opening minutes shook up Gonzalez but fortunately there was no cut like in their first fight. Over the next two rounds, Rungvisai kept ripping straight lefts and hooks to the head and body of Chocolatito, who looked very uncomfortable and slow. Gonzalez’ body language was not a healthy one and showed signs of a shot fighter, who could not land any punches of consequence and looked like he’d rather be somewhere else. Then in the fourth, Rungvisai dropped Gonzalez with a right hook though Chocolatito managed to beat the count. 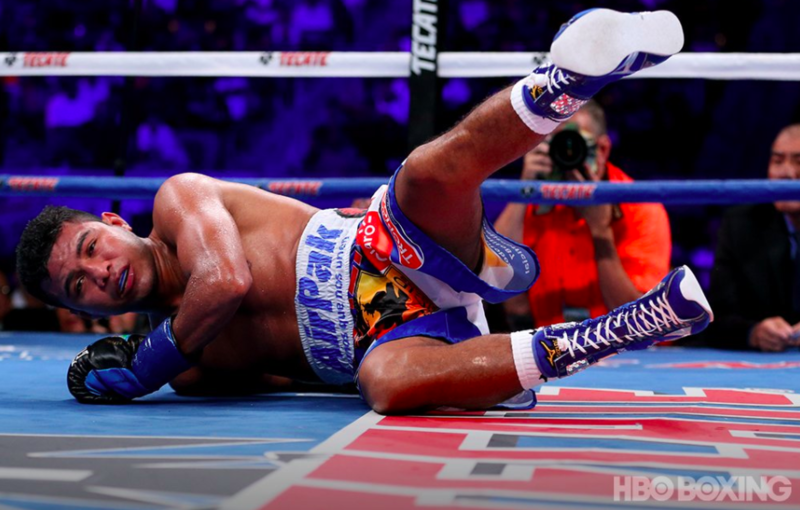 Still seemingly hurt, Chocolatito attempted to fight back, but appeared to have no power in his punches and Rungivsai continued to hurl lefts and rights. Moments later, Rungvisai connected with a perfect right hand that knocked Gonzalez out cold, prompting an immediate halt to the bout. 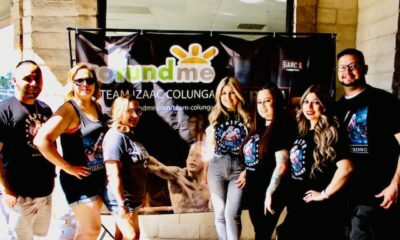 Gonzalez, who was down on the canvas for a few minutes, did not stick around after the fight, as he was smartly taken to a nearby hospital for observation. Earlier in the night, Juan Francisco Estrada (36-2, 25 KOs) earned a close unanimous decision win over Carlos Cuadras (36-2-1, 27 KOs) in a WBC title eliminator, becoming the mandatory challenger for Rungvisai. The fight was a barnburner, with Cuadras getting the better of Estrada in the first half of the fight. Both fighters exchanged combinations and Cuadras had great success with his left hand in the early going. However, as the fight wore on, Estrada’s continued pressure began to take effect, ripping Cuadras with punishing hooks. After reestablishing himself in the ninth round, Cuadras was not ready for a brutal left hook from Estrada that sent him to the canvas. After getting back up, Cuadras continued going toe-to-toe with Estrada until the end of the fight. Scores were 114-113 from all three judges, though Michael Buffer incorrectly announced Cuadras as the winner, before being corrected and announcing Estrada as winning the fight. In the co-featured bout, Naoya Inoue (14-0, 12 KOs) dominated Antonio Nieves (17-2-2, 9 KOs) during his long-awaited U.S. debut. Inoue pounded Nieves to the body throughout the fight, finally downing him in the fifth round. Though Nieves beat the count, he decided to stay away the remainder of the fight. 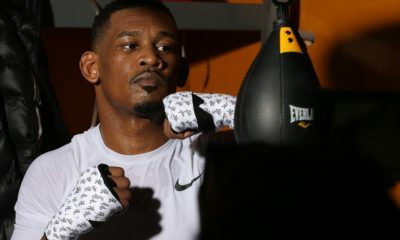 His corner had obviously seen enough and before the start of the seventh round, Nieves’ team told the referee that he had enough.